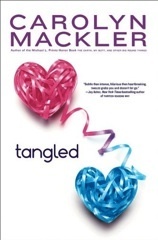 The book Tangled is a very good book. It’s told by four characters: Jena, Dakota, Skye, and Owen. It all starts when they all end up going to the same vacation place in the Caribbean. Jena and Skye don’t like one another, Skye’s the prettier girl, you know the one that get’s the guys and is in movies. Jena is your average girl just trying to make friends but is very shy. She meets this guy named Dakota. They fool around, get together. But the next thing you know is that Skye and Dakota are playing cards. Soon the vacation is over and they all part. Dakota ends up going to his grand-parents house in the middle of nowhere, and meets a girl with a child. He keeps things slow, they keep it PG and when he goes home he didn’t think that he would ever do this. Owen’s mom ends up sending him to this RealLife place where you meet friends. (He’s a blogger.) Next thing you know Dakota is breaking him out of there and he is on a bus to New York to meet Jena! The book keeps you wanting to read! You’ll never want to out the book down! 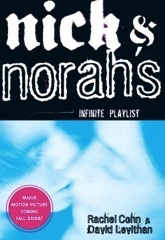 I would probably recommend this book to teenage girl. The Westbrook High School Library owns Tangled. Looking for Alaska is about this kid named Miles. He goes to this private school and meets his roommate the Colonel. Him and Colonel become really good friends and Colonel brings Miles to meet this girl named Alaska. Colonel and alaska both talk miles into smoking cigarettes. They have this place were the smoke the cigarettes called the smoke hole because there not aloud to smoke them on campus. So Miles go to his first day of classes and he realizes that he has colonel in most of them. Like the second day of school there are these kids that grab him while he is sleeping and takes him to the river and ties him up and throws him in the river. Miles also meets Takumi and Sara. Him and Sara end up hooking up and dating. One night they plan on doing a prank on the school and they prank was to send progress reports to the weekday worriers saying that there failing classes. They pull off the prank and they drink that night. The next morning Alaska woke up crying saying she forgot about her and her boyfriends anniversary when all this is happening she is still drunk. So she has Miles and Colonel distract the Eagle while she drives away and leaves. Read this and see what happens next. Looking for Alaska is one of the most popular books in the WHS Library. 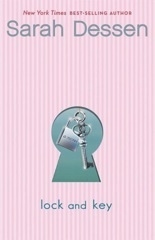 Lock & Key is about a young teenage girl named Ruby. Ruby’s mom was always on the move or with a new guy, but one day her mom went to work and didn’t come back. Ruby was left alone for weeks before the landlords came to check on how they were settling in. Now Ruby is forced to live with her sister Cora, whom she hasn’t seen since she left for college. This book is mainly about trying to find yourself in a new way. I would recommend this book to anyone who is having a hard time in their life, and this book will help you see that it’ll all be okay in the end. The WHS Library owns Lock & Key. Will Grayson, Will Grayson is a story of how the two lives of teenage boys who happen to have the same name intertwine when they meet in a place that neither of them would normally go. 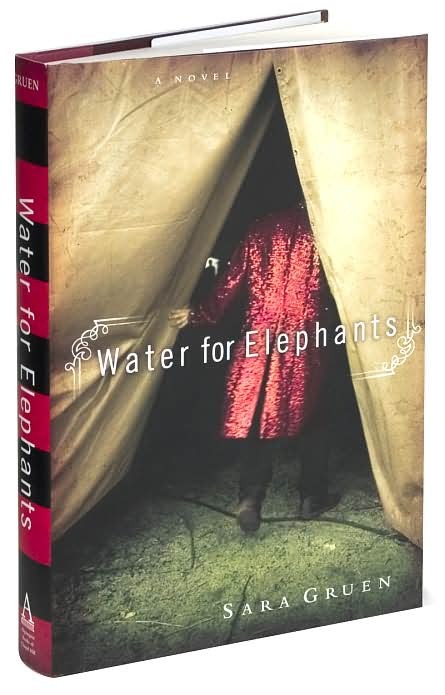 I recently reread it, and realized that I had forgot how much I loved it. The two authors, John Green and David Levithan, work together fantastically, creating to incredibly different but somehow similar boys. What I think is just so great is that this book isn’t just about romantic relationships, the majority of it is friendships; the power of them, and the love that we feel for our closest friends, how that is a love and sense of loyalty that overpowers just about everything. Another thing that was great is the enormous sense of humor that both authors use in this book, they mesh together so well. I recommend this to pretty much anybody, but especially teenagers, because teenagers really could relate better than any other age group. 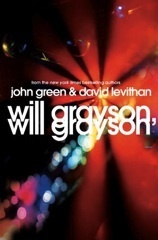 The WHS Library owns Will Grayson, Will Grayson in print and audio. 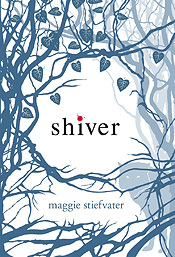 Shiver is one of my most favorite books ever. The book is based on a girl named Grace Brisbane who lives a quiet town of Mercy Falls. When she was younger she had a traumatic experience; she was attacked by wolves when she was a child. However, during the attack, she remembers one wolf, a wolf with yellow eyes that stopped it all, that saved her life. But that wolf’s not really a wolf, he’s a werewolf apart of a pack that can become human once a year after a period of time. Possibly as his last time as a person, Sam finally approaches Grace after all those years. They have been inseparable ever since and an undeniable connection is established between the two. But his time as a human is growing shorter, and winter is drawing nearer, and Grace and Sam must fight to find a way to be with each other. I loved this book, and would definitely recommend this book, especially to those who like the Twilight Saga. The novel Forever by Judy Blume, is about a young girl Katherine who you could say is mostly a good, virgin girl in high school. She has never had a real boyfriend before until she meets Michael at a New years eve party. They quickly begin seeing each other and their relationship grows extremely close and as time goes on he wants more then Katherine is ready for. Even though she wants to make Michael happy they wait a little longer until they take their relationship to the next level. When they finally do they grow closer then ever before Katherine shares everything with her best friend Erica throughout the book. Katherine’s parents grow worried that her relationship with Michael is too serious for their age and wants her to be focusing her academics and not only her boyfriend. They decide to sent her anyway to a camp for the summer that Katherine would have gladly gone to if she wasn’t madly in love with Michael, he also leaves for the summer to work. They plan to stay together and be loyal even while they are both gone for so long but that may not be the case as the summer goes on even though they have planned to be together “forever”. Along with other tragedies with Michael’s best friend eventually committing suicide. This is a great book, personally one of my favorites! I believe this book is mostly targeted towards teenage girls going through high school because it shows you a lot of struggles that girls go through with their families, dealing with parents and relationships with boys and girls. There is never really a dull moment throughout the book so I never wanted to stop reading it! Forever is available in the WHS Library. How its done is about this girl, Grace is eighteen, who wants to be like every teenage girl, she wants to be able to break free from home and her parents, to become independent from her overbearing, strict father, and coy mother. She feels imprisoned in her suburban home that looks like every other house in her neighborhood and each house is laid out the same. She has a best friend, Liv, who decides to check out Corbin College. She meets a charming college professor Michael. He is the one giving the lecture at Corbin College. He’s not much older than she is. He uses a very broad and bold vocabulary and he’s so much more mature that high school boys. Grace gets all caught up in her love for him. What she had anticipated to be an exciting ride, quickly turned into complication, and twisted lies to her father. She doesn’t want to stay home anymore, she wants to be free, but she’s having problems with Michael. Blinded by her love for him, she’s not sure what to do. Will she choose to leave her fathers side or leave Michael?